I wrote a post yesterday, about how I loved Cardiff. This is why, this is one of the amazing statues on City Hall. Expect to see my Sunday photos littered with them in coming weeks! I love that statue. I've not noticed it before on my visits to Cardiff. I will have to look out for it next time I'm there! Not been to Cardiff in years but I have fond memories. Great image. I can see the appeal of the town hall. That's a fab photo. You don't get much more Welsh than that! Great statue and very striking in black and white. That looks totally impressive-love the details. What a fab picture great statue! 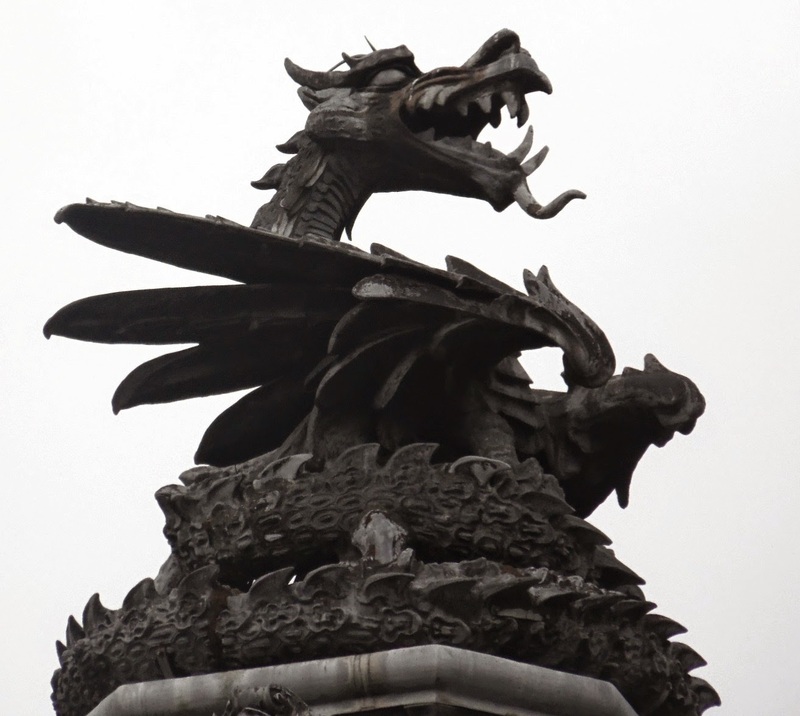 Very striking photo - did you see my dragon sculpture I put on Silent Sunday a few weeks ago? Oh wow! That is amazing!! Wow he looks pretty impressive! Great photo, love it when you spot things others take for granted!